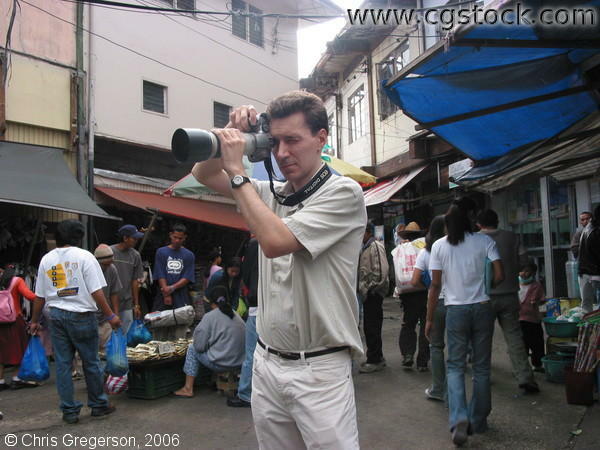 Chris aims his camera to a subject in Baguio Public Market. He uses a Canon EOS digital rebel. In the background are vendors and shoppers.